Dorothy Maxine Andrews, known to family and friends as “Mac”, passed away peacefully surrounded by her loving family on November 7, 2018. She was 88 years old. Dorothy was born May 10, 1930 in Lindale, Georgia to Tom Swindle and Georgia Wynn Swindle. She was predeceased by her husbands Emmett Dake, Stephen Skopinski, and Gerald Andrews. Dorothy was a long time resident of Toledo Ohio. She worked at the White Tower restaurant chain as a waitress, then supervisor and ultimately manager. 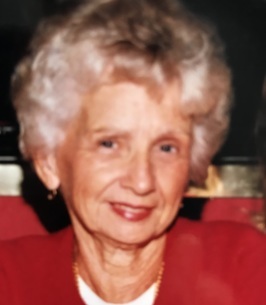 After retirement, Dorothy and husband Steve moved to Lady Lake Florida where she made many friends and enjoyed the warm weather, golfing, and especially line dancing. She was famous for her beautiful crocheted afghans and taught her granddaughters the craft. She visited her Ohio family often and loved telling stories of her life as a child on the farm. 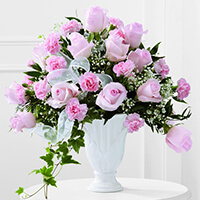 She will be forever remembered by her five children Timothy Dake (Betty Jo), Bernadette Greiner (Arthur), Patricia “Kay” Adams, Faith Stiger (Larry), and Hope Overmeyer (Dan). She will be missed greatly by her twelve grandchildren: Thomas Adams, Chad Greiner, Dawn Adams, Jennifer Greiner, Natalie Dennis, Melissa Harris, Robin Eminger, Timothy Dake Jr., Andrew Weissenberger, Nicholas Weissenberger, John Zalecki III, and Emily Weissenberger; eighteen great grandchildren, and a host of nieces and nephews. Dorothy is survived by brother Joel L. Swindle and sisters Gaynell Galus, Tommy Dee Adkins and Doreen Durbin. She was predeceased by thirteen other siblings. A Visitation will be held at the Lady Lake Chapel of Beyers Funeral Home on Friday, November 16, 2018 at 10:00 am followed by a service at 11:00 am. Interment will be at the Florida National Cemetery in Bushnell, Florida. Memorial donations may be sent to The Alzheimer’s Association. The family wishes to thank the entire staff at Governors Village Assisted Living in Mayfield Village, Ohio and Great Lakes Caring Hospice for the tremendous support and loving care they provided. 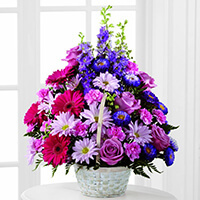 To send flowers to the family of Dorothy Maxine Andrews, please visit our Heartfelt Sympathies Store.